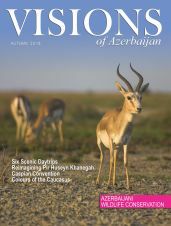 Visions met with Moisey Bekker, a researcher for the Institute of Law and Human Rights of Azerbaijan National Academy of Sciences, to learn more about the experience of Jews in Baku. He enlightened us about the Jewish influence on Baku culture through the past century, all the way from oil to comedy TV. One cold day in January, I sit down for tea with Moisey Bekker, a gentleman of respectable age with a perpetual sparkle in his eyes and a neatly trimmed salt and pepper beard. Bekker actively represents the Jewish community here. 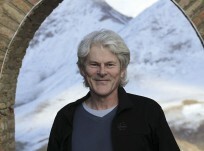 He helped found the representative board of the Georgian Jews in Azerbaijan, but identifies himself as a member of the European Jews (also called Ashkenazi Jews or Ashkenazim). The Ashkenazim who immigrated in the second half of the 19th century and throughout the 20th century were educated professionals who quickly integrated into Baku’s elite. They stepped into influential roles in law, medicine, education, business, theatre and media. I begin to wonder aloud about the Jews’ part in the development of the city’s atmosphere. Before I relate Bekker’s comments, let me define one term. 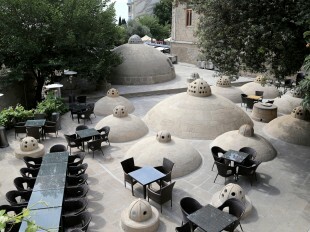 If you spend time in Baku, you will eventually run across the word Bakinets. This is a Russian word that can be literally translated as Bakuvian, or person from Baku. The Azerbaijani word Bakili means the same thing, but when people are speaking Azerbaijani they still use Bakinets (or its plural form, Bakintsi) to express a very different nuance than a geographic residence. 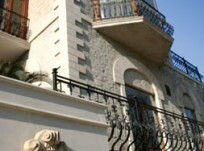 It implies a certain lifestyle characteristic to the specific social class of intellectuals living and mingling in Baku over the 20th century. 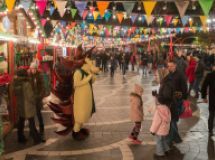 It also reflects the multicultural atmosphere of the city, because it is a unifying term, spanning multiple nationalities and religious groups. MB - The term “Bakinets” means a specific group of people connected by relational networks and their own special philosophy and non-standard worldview. The Azerbaijani intelligentsia formed over centuries like a unique class made up of different cultures: there were Azerbaijanis, Jews, Russians, Tatars, Poles, Georgians, etc... They were all mixed on just the right level necessary for the creation of an ideal intelligentsia. They had parties, concerts, weddings and family events together; they had common goals and achievements; that’s what made them Bakintsi. There was no distinction among them. No one raised the question of nationality or faith background. There was one principle: God is one and we are all his creations. “Bakinets” meant a kind of social and intellectual elite; an upper crust, but not a closed caste. To be a “Bakinets” connotes a way of life. It’s a mentality; a very high professional and intellectual level. In short, it’s like a brand. When did that term come into use? The concept of “Bakinets” began to form in the late 1940s and early 1950s. That’s when it really developed and spread. But the term was established long before that, in the 1920s. One factor in Baku’s transformation into a multicultural city during the 20th century was the oil boom. After oil was first drilled in Baku in the mid-19th century, European and American businessmen moved in. The best known among them were the Nobel brothers, who set up their company Branobel in 1876, and the Rothschild family, who established the Caspian-Black Sea Company (CBSC) in 1883. Both companies employed many foreign workers, and CBSC hired a high percentage of Jews in accordance with the Rothschilds’ background. Over the following decades immigrants of different nations socialized in Russian (the common language during the Soviet period), which is why the term Bakinets is preserved in Russian. How can you describe the Bakinets culture? The “Bakinets” lifestyle includes a certain humour, going to the theatre and concerts, creative exhibitions and literary evenings, inclusive get-togethers with ubiquitous one-liners and anecdotes, joint events, and working together on some types of projects. People had parties and socialized together in friendship. For example, I remember my sister’s parties, where we had Armenians, Azerbaijanis, Russians, and everyone else. People socialized together everywhere. At work, in their homes... for example, on my birthdays I would invite everyone over. And there were even mixed families. We didn’t discriminate. It was considered unethical to distinguish people based on nationality or on any other basis, which is still true today. And does the Bakinets culture still exist? The concept is still alive today. It has decreased a little, but it still exists. Now it is even undergoing something of a renaissance. Do you think this concept of Bakinets will remain in the future? That’s a complicated question, and it is purely dependent on economics. It’s not about politics. The political stance of the government is 100 per cent rational and correct. They do everything to prevent international conflicts, ensure political stability and maintain the satisfaction of the population. We don’t have discrimination of ethnic or religious minority groups. If the economic level of the country remains as dynamic as it is today and people keep doing business together, then I think there will be no obstacles to the development and deepening of our values. How did the Jews influence the Bakinets culture? There was mutual influence; it’s hard to say who had greater influence on whom. But a lot of Jews were doctors and teachers; they socialized in wide circles of people. And usually children love their instructors; they look up to them. That also played a role in the formulation of that cultural level. Expounding on the leadership of the Jewish population in Baku, Bekker backs up to give me an overview of the Jewish presence here. He says that in 1870 there were only 52 Jews in total in Baku. The Jewish population grew dramatically during the oil boom and peaked in the 1920s and 30s, when 4.4 per cent of the city was Jewish. Most of these urban Jews were migrant Ashkenazim. Outside the city, there was also a large population of the ancient Judeo-Tat-speaking Mountain Jews who had maintained a steady presence for centuries. Many of them used to live in Shirvan. Now the majority remain in Oghuz and in Krasnaya Sloboda (Qirmizi Qesebe), near the site of ancient Quba. 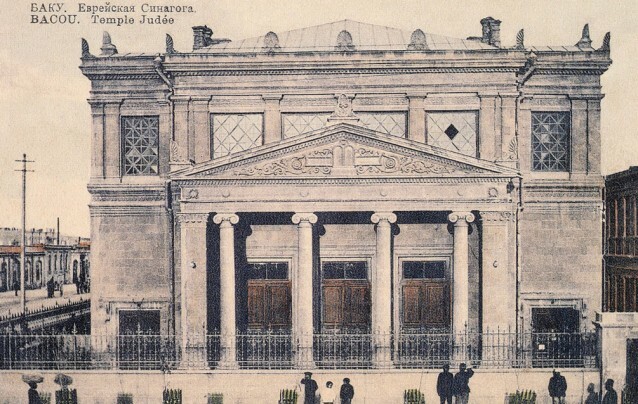 The large group of Ashkenazi Jews in Baku in the early 20th century had their own schools, institutes, Cheders, theatres and musical ensembles. The first Jewish theatre troupe began performing plays from the classic Jewish repertoire in Yiddish in 1904. 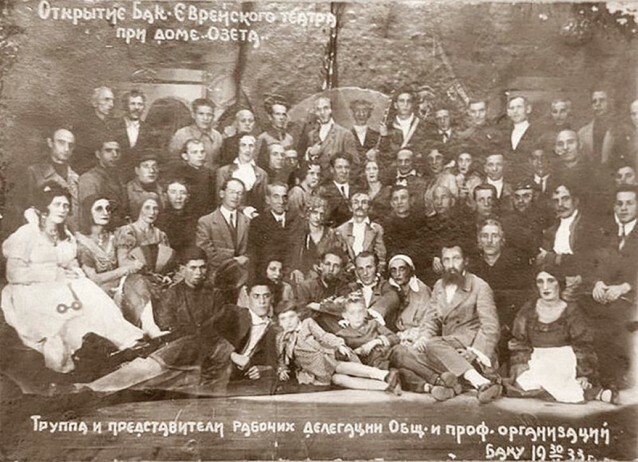 After Soviet rule was established in Azerbaijan, there were independent Jewish theatres operating in the Borokhov and Ilyayev Clubs. In 1933, OZET (Society for Settling Toiling Jews on the Land) opened a Jewish theatre, which performed plays from 1934 to 1941 on the premises of the former Choral Synagogue. Bekker tells me, Anyone was welcome to attend the theatre, but the plays were performed in Yiddish [the language of the Ashkenazim- Ed.]. Then they began to stage plays in Russian and Yiddish, mixing the languages together, because people were forgetting Yiddish. Can we say the Jewish theatre played a role in the development of Bakinets culture? Of course. 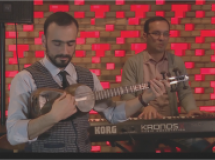 There were even cases where traditional Jewish plays were performed in Azerbaijani, and when Azerbaijani plays were performed in the Jewish theatre. There was mutual influence. Bekker comments that many of the theatre productions were humorous, which reminds me that Bakinets culture is also associated with the comedic subculture of KVN, or Клуб весёлых и находчивых (Club of Funny and Inventive People). KVN is a competition among teams of student actors from different universities who perform pre-rehearsed skits, dialogues and songs as well as improvisation tasks. The latter included a competition among the team captains to express the most accurate and satirical response to a prompt within two or three minutes. KVN began as a television show during the Soviet period and it is still very much alive in Russian-speaking countries, both as a continuation of the TV broadcast (now with five million live viewers, according to www.kvn.ru!) and as an organization (KVN Union) overseeing multiple leagues that host competitions among teams from over 100 cities. Baku has had multiple iterations of its own KVN team, Парни из Баку (Guys from Baku), that was very popular not only in Baku but also across the former USSR. The team won CIS-wide championships repeatedly in the 1990s and was awarded the title “Best Team of the 20th Century” in 2000. When I inquire about the possibility of a direct connection between KVN in Azerbaijan and Jewish humour, Bekker chuckles and confirms my hunch. Did Jewish humour have an influence on KVN? 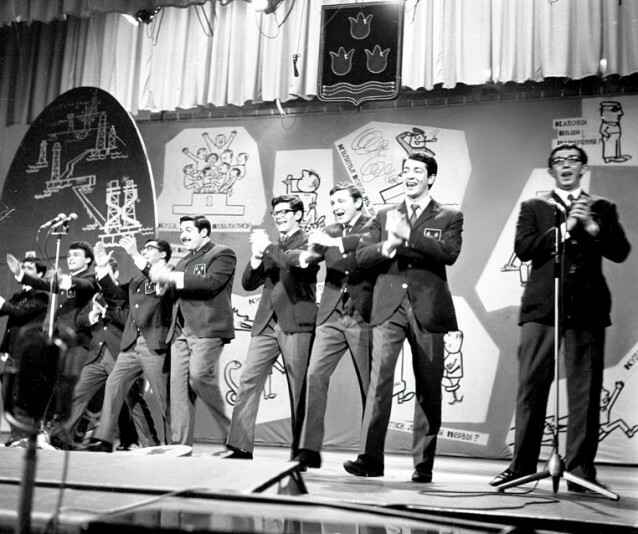 Yes, Jewish humour was used in KVN, and there have been many Jewish participants in KVN. For a long time the team captain of the Guys from Baku team was [Jewish] Yuli Gusman, the famous director. 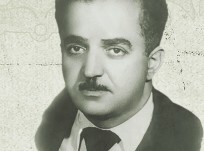 Yuli Gusman was a leader from the very beginning of the Baku KVN club, in 1967. The team competed across the whole Soviet Union then. He laid that foundation, but he wasn’t alone. There were also Alik Pisman, Pavel Amnuel [also a physicist and science fiction writer - Ed. ], Leonid Weinstein, Leonid Amstislavski, and many other Jews. Of course there were representatives of all the groups in Azerbaijan, but the Jews in the group made up a well-known layer of serious participants. So we can say that Jews played a certain role in the development of that type of humour. How would you describe Jewish humour to a neophyte? First of all, Jewish humour doesn’t insult any other groups. Jews know how to laugh at themselves. It has always been like that. No one relates to themselves quite like we do, regarding humour, in the way we laugh at our own mistakes and misfortunes. As a result, we like it, but so do other people. And then other people start to apply that to themselves. They project it on themselves; they see their own negative sides through it, and it’s funny for them as well. Why did the Yiddish theatre close? First of all, part of the troupe travelled to Belarus and were killed there [by the Nazis - Ed. ], and secondly, the audiences were decreasing. People had stopped coming to the theatre because they didn’t understand Yiddish. There weren’t enough native speakers left. The linguistic shift was caused by generations coming up through the Russian (Soviet) education system more than by population decline, but the latter factor also affected the Jewish community in the following years. The Jewish demographic saw a drop through the 1970s, after the USSR began to allow increased emigration and many Ashkenazi families left for Israel (see the Wikipedia article on Aliyah). 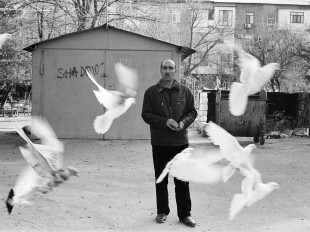 Then in the early 1990s after the USSR fell, some 80 per cent of the Jewish population relocated from Azerbaijan. But that wasn’t the end of the story. 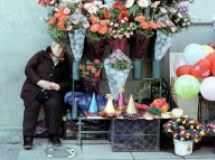 Some of the families discovered that they felt more at home and able to thrive in Baku than in the USA, West Germany or Israel, and ended up migrating back. Why did some of the Jews come back from Israel? Not everyone can make it work in a new land... There can be language barriers; social problems; problems with living conditions. There are always problems, especially in a new place. About 500 people came back. They came back because they weren’t able to thrive; they couldn’t find themselves there. Some of them had left without selling their apartments. They went there, tried it out, realized they couldn’t survive there and came back. As it turned out, I was able to contribute to bringing these people back and restoring their citizenship in the Azerbaijan Republic. In 1998, we celebrated the 75th birthday of Heydar Aliyevich, our National Leader. At that time I told him that there were many Jews who wanted to come back to Azerbaijan, but they had all forfeited their citizenship by emigrating from the Soviet Union. That law was in force in Azerbaijan from the Soviet period until 1997. 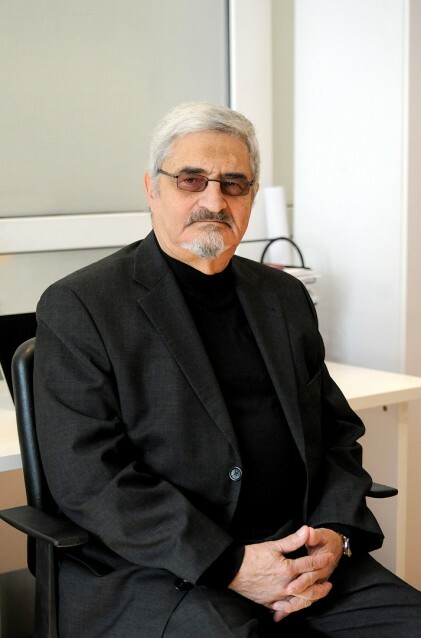 Heydar Aliyevich listened to me and said, “Very good, let them come back.” The next day I got a phone call from the Presidential Administration saying, “The issue of citizenship has been solved. They can come back.” The President had personally made an order giving people the right to return to Azerbaijan. That was their choice, their right... A person should live wherever is comfortable for him. And the fact that people want to return to Azerbaijan is a testimony to the tolerant relations here among ethnic groups and faiths. There has never been antisemitism here, which is particularly important to me as a Jew. 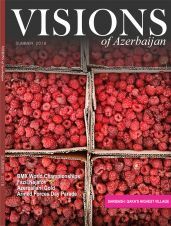 What’s your dream for the Jews in Azerbaijan? That things would remain as they are today. We need peace, stability, prosperity and the same level of human and interpersonal relations that we have today. We have everything we want. And that’s really important. We have schools; we have Jewish kindergartens; we have synagogues. No one is forbidding us from doing any cultural, scientific, business or artistic activity. We are full-fledged citizens of this country. We have the same rights as everyone else. And maybe even a tiny bit more (laughs). 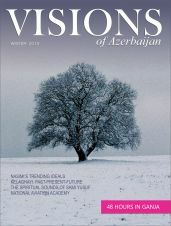 About the author: Martha Lawry is a former staff writer at Visions and an expert on Azerbaijani music and culture.